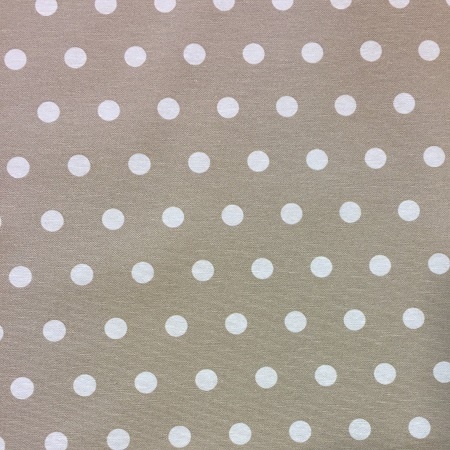 A warm beige linen look with white polka dots. The polka dots are 1.5cm wide. A pattern repeat of 8cm. Acrylic coated 70% cotton 30% polyester. Matt finish. Fabric widths and pattern repeats may vary between batches.